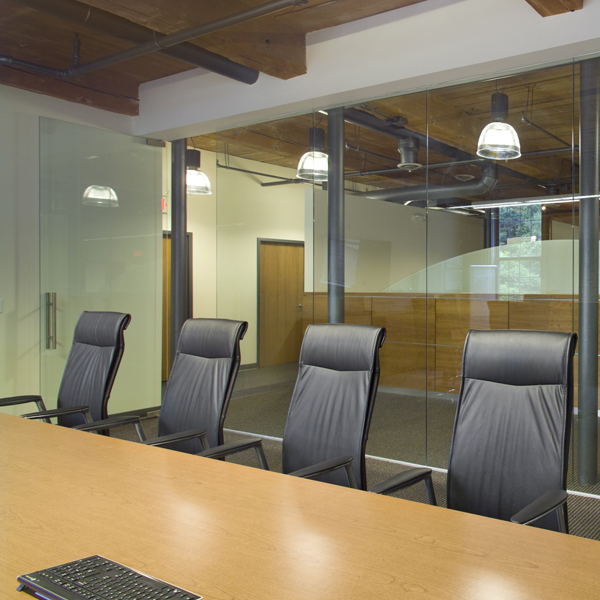 At American Frameless, we design, engineer and install architectural glass solutions for every interior space, and some surprisingly new and creative outdoor space applications as well. 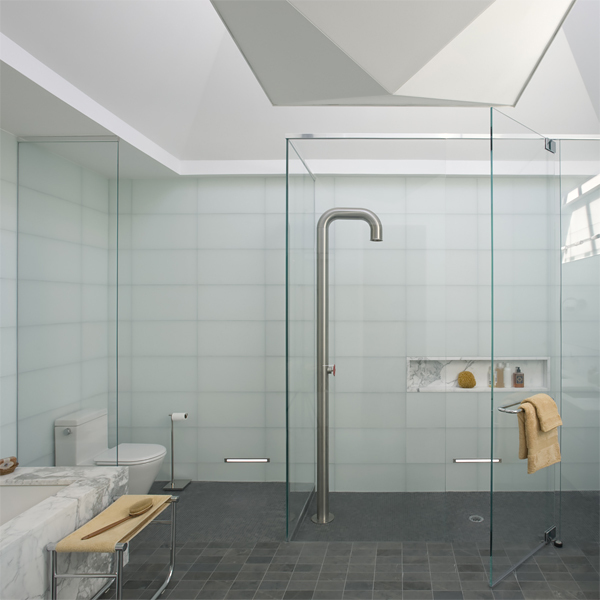 The list is long: from free floating glass rooms, frameless shower doors and bath enclosures, wine rooms, conference rooms, doors, kitchen splash-backs and countertops, tabletops, and deck enclosures … to walls, partitions, stair railings, swimming pool fencing, bars, ceilings and more. 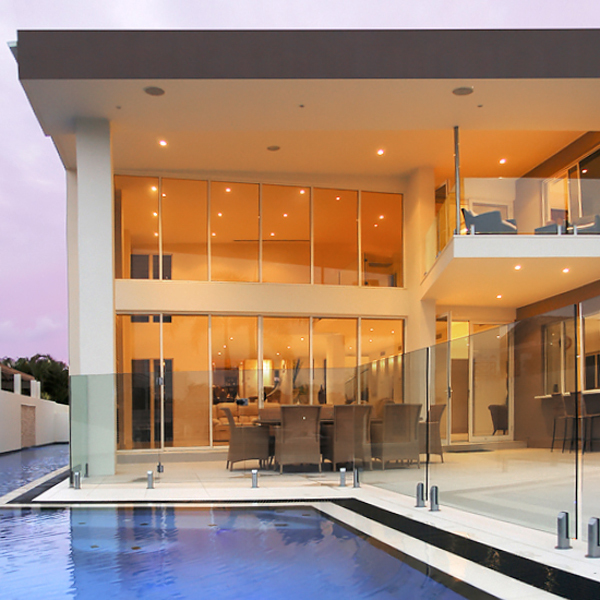 So come on in, browse around and discover the myriad of ways structural glass can enhance your home or business. 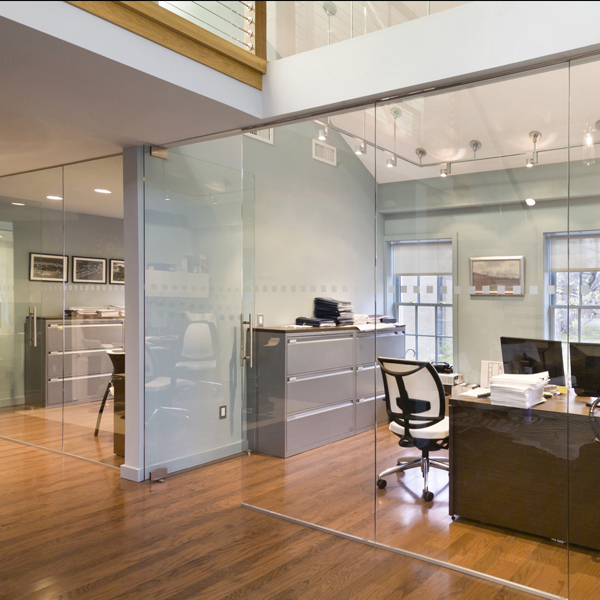 All of us at American Frameless look forward to making your ideas in glass a reality! This building’s lobby called for a glass turnstile at the base of a curved glass staircase. Our creative design and fabrication talents were challenged to deliver an elegant as well as trouble-free, functional solution. Here, ½ inch tempered glass panels pivot freely on the turnstile’s stainless steel post. And we carried the staircase railings upward with curved glass and steel. 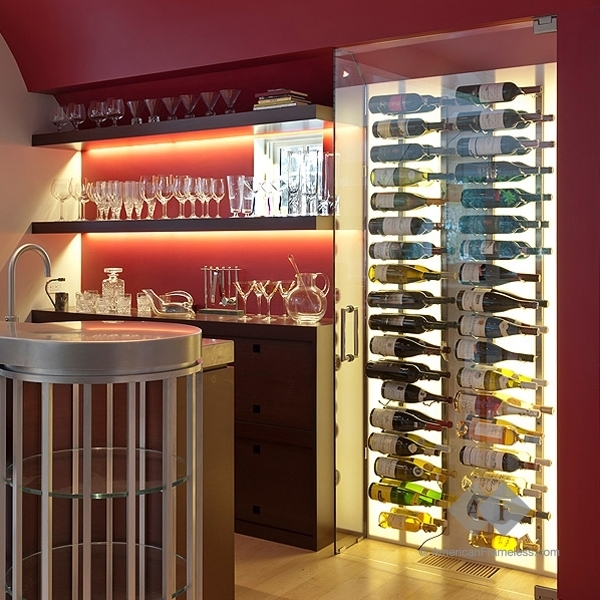 Do you love wine, and do you have sufficient space in your home for a wine room? 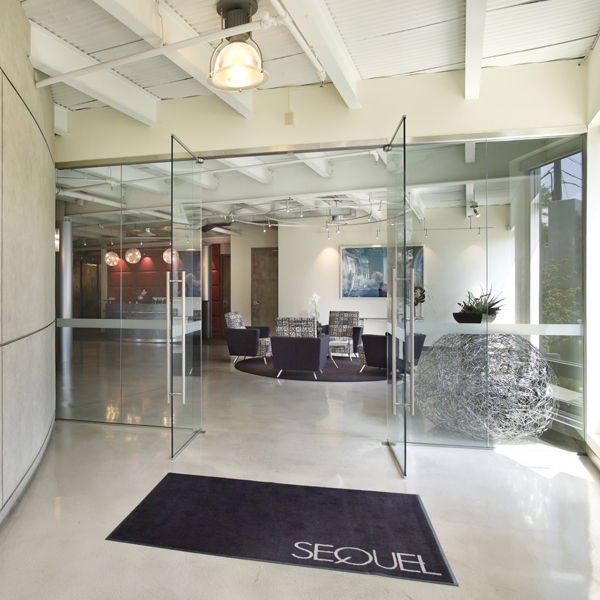 This client allocated a relatively large space for us to design a dramatic architectural glass entryway. But don’t fret if you have a much smaller space to allocate as we’ve created wine room doors slightly larger than just a closet. So put our design skills to the test! Our new frameless shower and bath enclosures for both master and guest bathrooms made the rooms look so much larger, open, bright and airy! 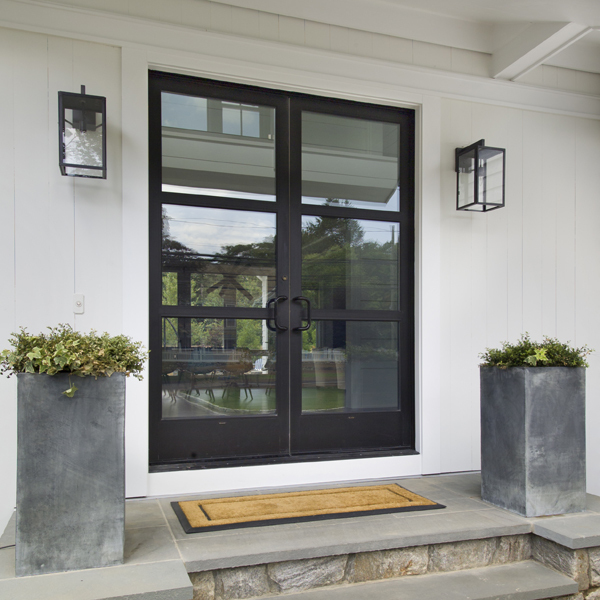 They’re remarkable transformations thanks to your brilliant design team and meticulous and courteous installers. 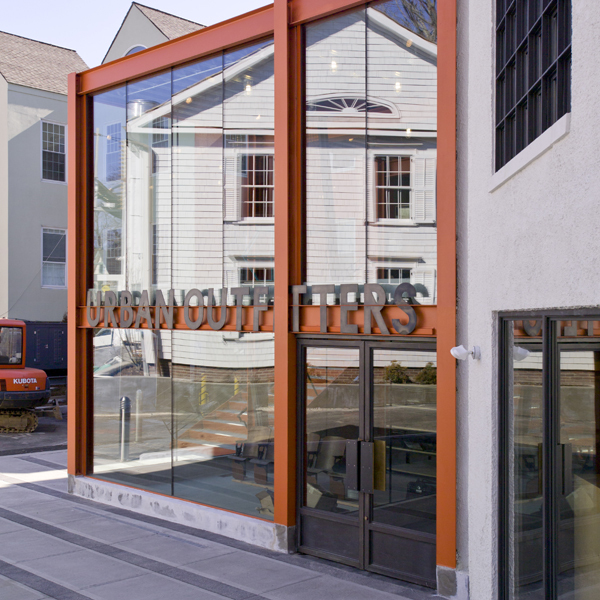 We use American Frameless to design, produce and install all of our architectural glass applications – for both residential, corporate and retail clients. Their quality standards are the highest and their installations are consistently on time and flawlessly executed.